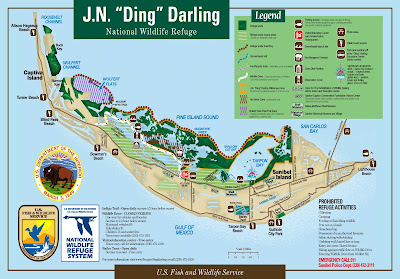 Perhaps you've heard about -- or had the pleasure of birding -- Ding Darling National Wildlife Refuge on Florida's Sanibel Island. I had the pleasure of staying on the island and visiting the refuge with three of WildBird's Birders of the Year, and I hope to return for more fantastic views of Roseate Spoonbills and other specialties. While WildBird celebrates its 25th anniversary this year, National Wildlife Federation -- an organization that Jay N. "Ding" Darling helped to create -- is celebrating its 75th anniversary. On Feb. 3, 1936, he gathered close to 1,500 participants for the first North American Wildlife Conference in Washington, D.C.
From that conference sprang the General Wildlife Federation, renamed National Wildlife Federation, in 1938. Darling served as the organization's first president. You also might recognize his name in connection with the Federal Migratory Bird Hunting and Conservation Stamps, also known as Duck Stamps, which generate thousands of dollars every year for wetland and grassland purchase and restoration. During its 75th anniversary, NWF rightfully has much to tout. 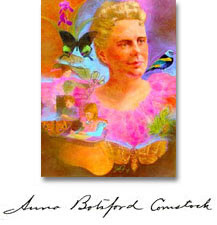 Its Conservation Hall of Fame includes an incredible roster of 28 individuals -- including Hugh Bennett, John Burroughs, Rachel Carson and Anna Botsford Comstock -- and offers an excellent jumping-off point for hours of reading and further research about conservation in the United States. In addition to the Conservation Hall of Fame, NWF holds the annual National Conservation Achievement Awards. This year's event will take place on April 13 in Washington, D.C. (with tickets priced at $750) and will feature awards in 13 categories, including youth, communications, and corporate leadership. Previous honorees include Lindblad Expeditions and Arnold Schwarzenegger among many others. A timeline highlights some of NWF's achievements, such as its role in the Pittman-Robertson Act (Federal Aid in Wildlife Restoration Act) in 1937, Roger Tory Peterson's role as NWF art director in 1952, its campaign to ban the pesticide DDT in 1971 and the creation of its Raptor Information Center in 1976 (later disbanded in the 1990s). The federation will hold its annual meeting in Washington, D.C., on April 14 to 16. Early-bird registration between Feb. 8 and 28 offers a $25 discount. The schedule includes exhibits, a silent auction, committee meetings, regional roundtables and a restoration project at Patuxent National Wildlife Research Refuge.